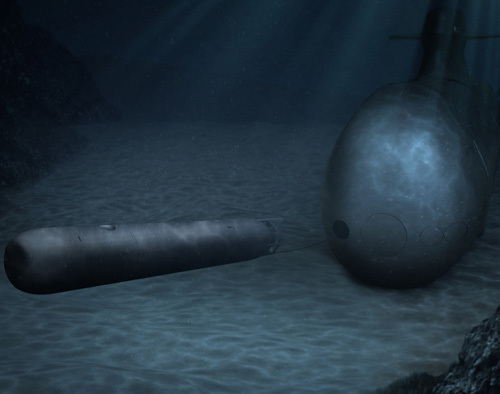 Defense and security company Saab will showcase its New Lightweight Torpedo at this year´s Undersea Defense Technology (UDT) exhibition in Bremen, Germany on 30 May-1 June. This will be the first time Saab demonstrates the system, ordered by the Swedish Defense Material Administration in 2016, to the global defense market. In May 2016 the Swedish Defense Material Administration (FMV) placed an order for the development and production of New Lightweight Torpedo system. The total order value of the development program amounts to approximately SEK1.53 billion and deliveries are scheduled during the period 2016-2024. For the first time, Saab will showcase the new torpedo system to the market at this year´s UDT exhibition in Bremen, Germany. “This will be the first time we showcase this new and ground-breaking torpedo system to the market. Saab is today the only supplier developing a brand new torpedo system ready for the modern threats. It is a flexible system that suits perfectly for navies operating in both littoral and blue waters”, said Anne-Marie Vösu, Head of business unit Underwater Systems within Saab business area Dynamics. “The development program goes as planned, and during the fall we will conduct the first water tests at our own test facility. Since we received the order from Sweden we have seen a great interest for this system so we will stay in close contact with interested countries”, she added.